And now Part II of You Don’t Know Jack. Part I may be found here. 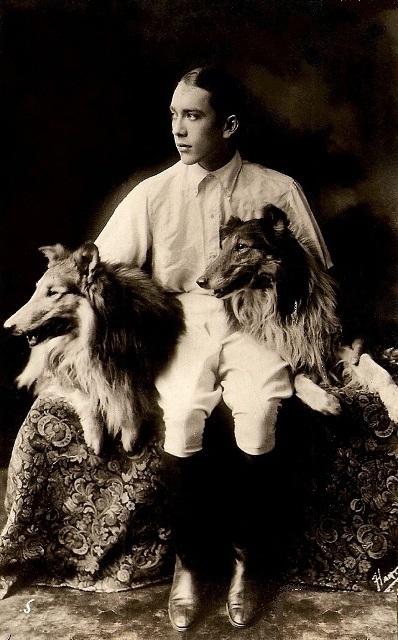 Early Hollywood's Tragic Prince in a pensive pose. Why always the blustering hero? Why not make him more human? …Why not have him lose out lots of times – make him ridiculous, sometimes, just as human beings, the best and the smartest of them, often are? The charges that Jack was untalented and that his films were unsuccessful are simply not true. 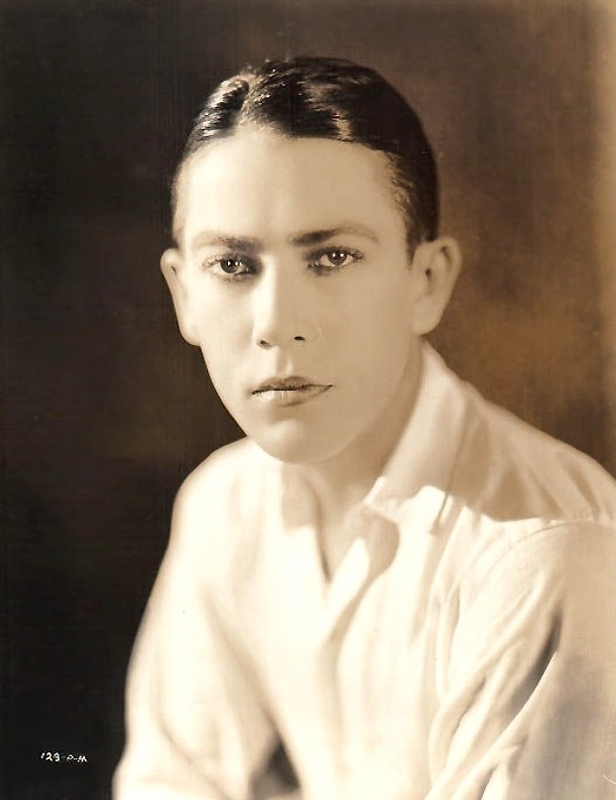 Jack Pickford was just 22 years old as he entered 1919, riding a wave of growing popularity and, in spite of his extreme youth, already a seasoned veteran in motion pictures, literally growing up with the movies themselves. 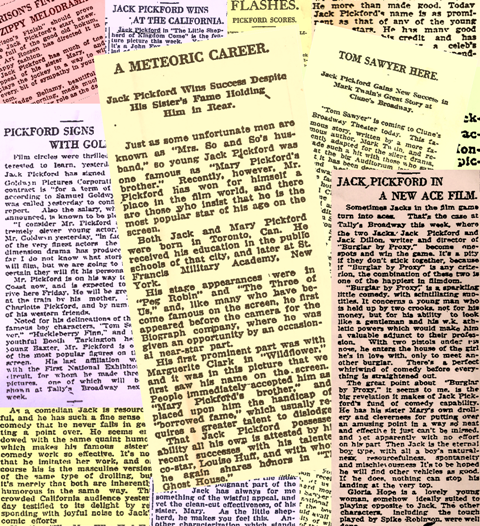 The last few years alone saw Pickford scoring big in a string of hits including Seventeen (1916); Freckles; The Varmint; Tom Sawyer (all 1917); Huck and Tom; His Majesty Bunker Bean; The Spirit of ’17 and Mile-a-Minute Kendall (all 1918) among others in a crowded schedule of films. 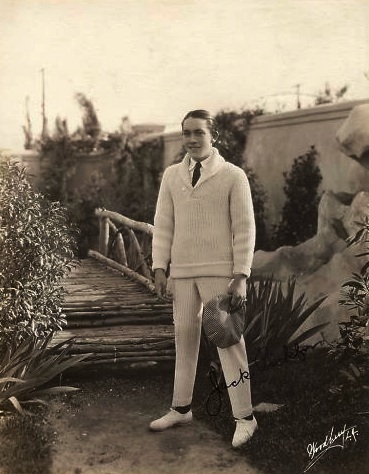 The handsome and talented Jack, crown prince of Hollywood’s Royal Family, looked like a sure bet for a long and happy run in pictures, with prospects so bright it led Grace Kingsley, venerable reporter for the Los Angeles Times to declare that as long as Jack was given good material, “nothing can stop his landing at the very top.” That is, except for Jack himself. 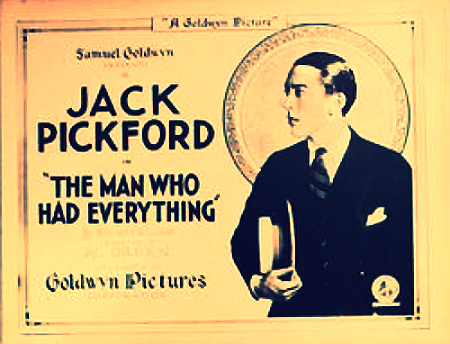 A number of Jack's films had autobiographical or ironic titles. To the outside world, Jack was the man who "had everything." 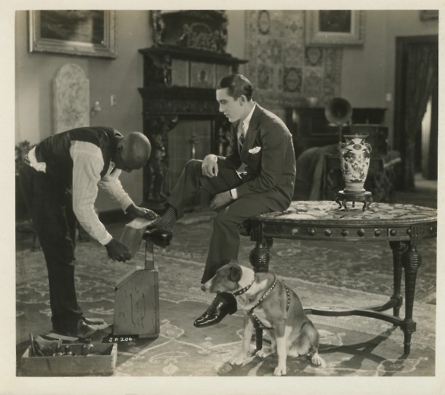 There is little doubt that Jack Pickford during these propitious times was nothing short of a force of nature, charming, charismatic, filled with irrepressible energy and joie de vivre – “Vivacious,” as Raoul Walsh described him, a “scamp,” as Louise Huff remembered. Jack’s magnetic personality was, after all, a key to his success both on and off the screen. But forces of nature can be just as maddening as they can be loveable and Jack frequently drove those who loved him to the point of distraction. Jack’s behavior, as reckless and immature as it could be though, was never intended to be mean. He just liked having fun and even though she shook her tiny fists in fury at him as he dangerously buzzed her studio in his private plane, Jack’s sister Mary couldn’t help but forgive her wild baby brother. Nor could his mother Charlotte when he dynamited the door off her fabled and heavily fortified “Liquor Room” at 129 Fremont Place so he could have enough stock to throw sister Lottie a proper party, and causing serious damage to the house in the process. Everyone forgave Jack, it seems, during these times. But it would not always be so as Jack was soon to find out. An early rendering of Charlotte Pickford's home in the exclusive residential enclave of Fremont Place in Hancock Park, designed by the noted firm of Meyer & Holler. According to Raoul Walsh, the concrete-lined liquor vault "held enough spirits to stock two bars and the lock on the door would have made some bankers envious. When Ma pocketed the key, the Pickford menage dried up." That is, unless someone had dynamite. Having the advantage of hindsight, it seems clear now that Jack was stuck in a no-win situation. While his well-meaning family and friends might continuously scold him to “grow up,” doing so would alter his very DNA. After all, it was his mischievous school boy persona that made him so popular in the first place. He might do naughty things, but everyone knew he was, at heart, a good boy with “boy” being the critical word. Much has been written about the public’s inability to accept Mary Pickford in “grown up” roles, the same was just as true for Jack. The public wanted them both encased in amber, forever young, sweet and lovely. Any violation would result in serious consequences. Mary was practically driven mad with frustration as a result. How could Jack have been any less affected? In fact, his situation was much worse. The same antics that delighted millions on the screen might just as often get a stern lecture at home. Poor rudderless Jack probably never knew whether he was coming or going. It was a paradox from which Jack could not escape. You don't have to be a psychiatrist to read between the lines at what was going on with poor Jack here. A struggle for his own identity. Dominating mother. Bossy sisters. Well intentioned, but not a good recipe for building a young man's confidence. Article is from 1917. 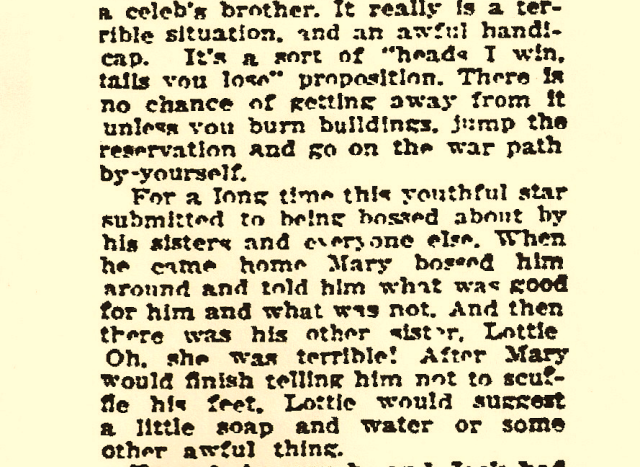 "Tom was not the best boy in the village..." wrote Mark Twain in describing his famous boy hero. 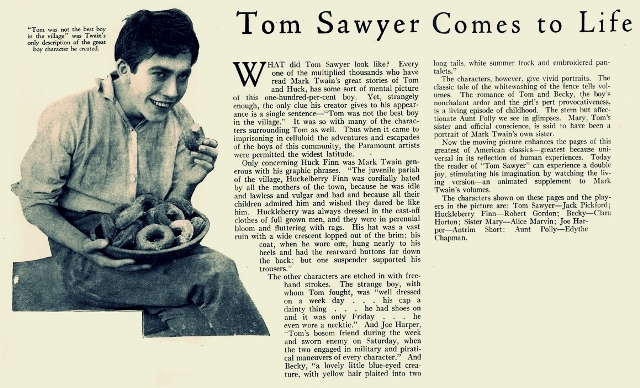 Tom Sawyer (1917) was Jack's most successful film and the character was a perfect metaphor for Jack's on and off-screen persona. This is how the public liked Jack. Fun and mischievous, but never really bad. Privledged...spoiled...Not the image Jack ever wanted to project. 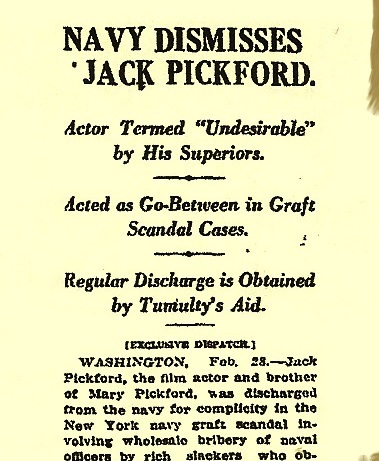 In March 1919, the war was well over and Jack was already back in Hollywood when a bombshell suddenly exploded over his head in the form of a revelation that Jack had been deemed an “undesireable” by the Navy and was being kicked out for his involvement in a high level bribery scandal. The public was shocked to learn that a group of well-to-do slackers dubbed the “Safety First” men had paid tens of thousands of dollars and expensive gifts in bribes to certain Naval officers in order to secure “bombproof” assignments far from the front such as shore duty and cushy desk jobs. Jack, however, was not the mastermind of this scheme, but rather was used merely as a go between between the Safety First men and Lt. Benjamin Davis, the plan’s actual mastermind, and others. Why the devil Jack allowed himself to get entangled in this unseemly mess showed a spectacular lack of judgment and just outright, for lack of a better word, stupidity. It did not, however, show sinister or calculated intent. The Navy was never able to show that Jack had even gotten a penny of bribe money out of it or any other kind of tangible benefit. So, why then did he do it? Well, the root may lie in Jack’s ‘pleaser” personality. He lacked a father or any strong male influences in his life and he always just wanted to be liked. There was almost a desperation in the desire so much so that being adored by countless film fans does not appear to have been enough to fill his emptiness. Being the go between may have made him feel important – popular, useful, liked by his fellow men, one of them. But just like others who fall into the same trap, Jack was actually just a dupe, used, bossed around and probably laughed at behind his back by the very men he thought were his friends. Tragically, Jack never seems to have grasped his true value and forever struggled to reconcile his feelings of inferiority on the one hand, with his princely status in the Hollywood realm, on the other. Jack, of course, was not alone in this. History has shown time and again the same struggles within members of other famous families, Hollywood and elsewhere, and often with tragic results. 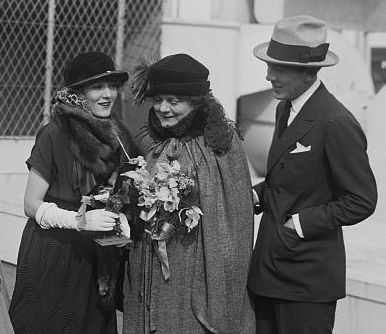 Charlotte with Mary and Jack. Literally, the very day the Navy’s recommendation was made, the full weight and power of the Pickford name came into play with Charlotte interceding personally with Joseph Tumulty, private secretary to the President of the United States. 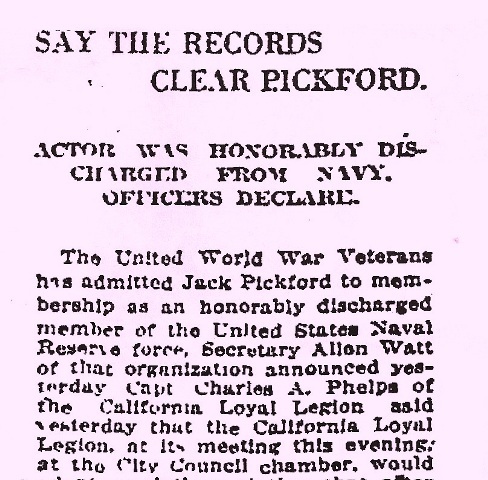 Suddenly, things shifted rather dramatically in the case and Jack’s discharge was magically changed from “Dishonorable” to “Ordinary” with recommendation for further enlistment. Without fear of hyperbole, it can be fairly stated that Charlotte Pickford was the most powerful “stage mother” in the history of Hollywood, bringing otherwise indomitable studio heads to their knees time and again. She did nothing less with the heads of government, doing such a good job on behalf of her errant boy that the final report even showed the notation regarding Jack’s sobriety as being “Excellent.” Ma Pickford was not to be messed with! This was welcome news for Jack. But doubts still persisted in some circles. 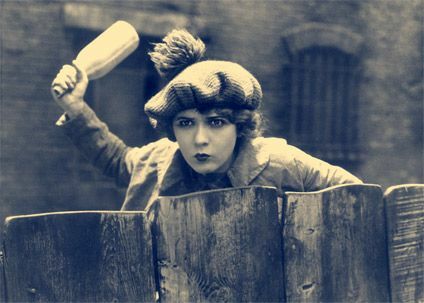 This entry was posted in Interesting People and tagged 129 Fremont Place, Charlotte Pickford, Grace Kingsley, Jack Pickford, Joseph Tumulty, Lottie Pickford, Mary Pickford, Meyer & Holler, Raoul Walsh, Tom Sawyer (1917). Bookmark the permalink. Beautiful images, well written, a very nice even handed take on Jack. That Woodbury photo of him on the bridge is the exact one I had that was stolen out of my car. It wasn’t me, honest! Seriously though, I’m so sorry for the loss of those pictures. They are really beautifully done. And thank you so much Mary for the kind words, they mean a lot especially coming from a fellow author!